This flipchart lesson contains over 10 slides of information about the novel "Les Miserables" by Victor Hugo. 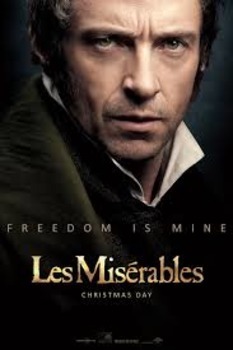 The chart uses colorful photos from the most recent film version of "Les Miserables," which stars Hugh Jackman as Jean Valjean. I use this lesson on the plot of Les Mis as an introduction to the story before showing the film in my French III class. The level of French utilized in this lesson is best suited for French 3 or 4, but it can be taught at lower levels through assisted reading! NOTE:: This resources is an ActivInspire flipchart, meaning that you must have the free ActivInspire software on your computer to open it. You can find this at Promethean Planet.com. Please contact me for a Microsoft Word version! 5. OUTSIDE LINK TO THE FILM TRAILER to get students excited!